The 80’s & 90’s brought us a crippling fear of fat, swiftly followed by the fitness community cowering from carbs in the early 2000’s (that one still lingers). The human body utilizes all three macronutrients – fat, carbohydrates, and protein – as fuel for different purposes, and while both fat & carb phobias have been proven to be largely misguided, it’s worth calling to attention that no one, anywhere, at any time, has every passed on protein. There’s a reason for that. Any good dietician or trainer knows that proteins, large, complex structures composed of tiny, bead-like molecules known as amino acids (1) are essential to build, maintain, and replace the tissues in our body. is the cornerstone of a goal-oriented diet. Low calorie and ultra filling, protein has the ability to keep you satisfied on less, ideal for those looking to shed weight and body fat. Conversely, eating higher quantities of protein contributes to the synthesis of lean muscle and can boost the body’s lean mass. Whether you supplement with meal replacement shakes or nosh on protein bars, the right type of protein will undoubtedly help you reach yours goals, but it is important to remember that quantity will vary based on what those goals are. Reconsidering macro ratios and protein intake for fat loss is a great move, strategically. A higher protein diet will reduce hunger overall, sustain satiety after meals, and prevent the urge to snack or overindulge. After all, to lose weight, you must consume less calories than you are burning, or eat on what is referred to as a deficit. Deficits, or restricted calorie diets, can be challenging to stick to when the quality of calories is low. Think about it: say you’re looking for a snack, something in the realm of 200 calories. You can eat 200 calories of simple carbs, a thick slice of bread for instance, of 200 calories of lean protein, a piece of chicken, some eggs, etc. Which will keep you fuller longer? While the bread is probably delicious, carbohydrates are a quick-burning source of energy for your body, so they take less time to metabolize. You’ll feel hunger rearing its head again quickly after you eat. Protein, on the other hand, requires more time + work for you body to process, so your gut stays occupied for much longer after consumption. Which leads us to our next point: protein revs your metabolism. Since protein takes more energy to digest, you are effectively burning calories to process it – protein has a much higher thermic effect than either fat or carbs, so your metabolism rises when it needs to digest the nutrient. Whether you want more muscle mass for sport performance or simply for aesthetics, protein will put you on the fast track to seeing results. One study found whey protein, alone or as a part of a multi-ingredient, to increase upper and lower body strength and promote lean body mass gain in those who practiced resistance training (2). It is the foundation for the building blocks of muscle, so consuming protein in addition to your weight training program is the fastest, safest, most natural way to experience gains. When you lift weights or perform resistance exercises, tiny micro tears occur in your muscles. 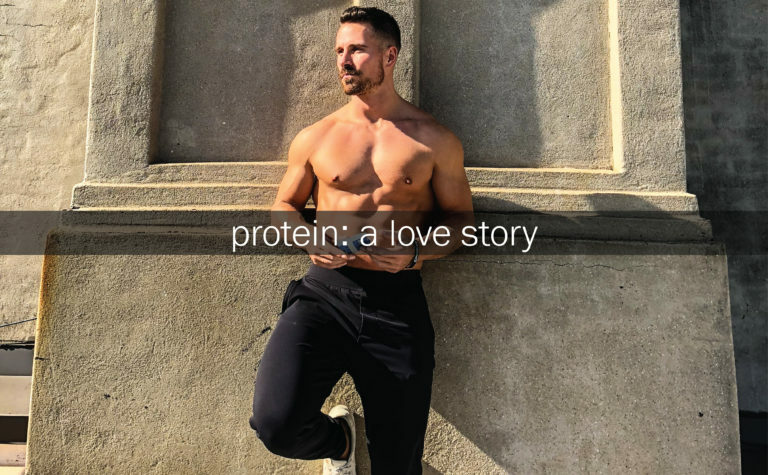 Your body uses the amino acids in protein to repair and build upon those tears, surrounding them and filling them in, resulting in a larger, stronger muscle. There are other major benefits to consuming protein within an hour of working out – immediately hitting your muscles with the tools they need to repair decreases soreness and cuts down on recovery time (because let’s face it, we’ve all been reduced to hobbling around after a particularly brutal leg day). Downing a protein shake post-workout is the best way to ensure you get the nutrition you need. This is a great question with a different answer for every type of athlete! 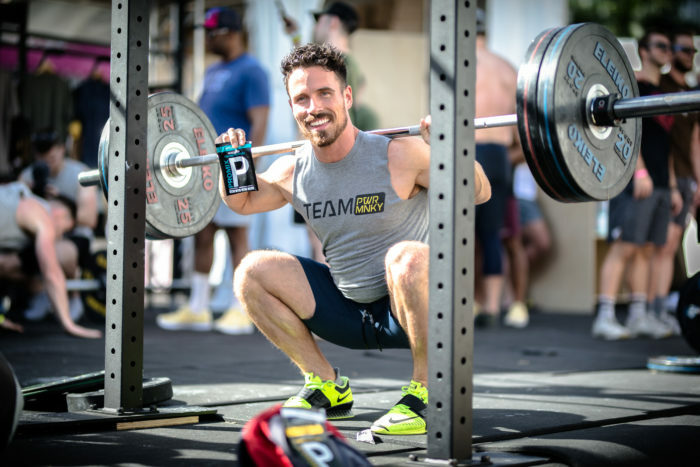 ProMix is always on a mission to bring the highest quality proteins and supplements to athletes from all walks of life: whatever your dietary needs or lifestyle requirements, we’ve got something for you. The most traditional post-workout protein for those trying to lose weight and/or build muscle is whey. Whey protein traditionally comes from the milk of cows and is quick-digesting for efficient lean muscle fiber repair and contains essential amino acids that are easily absorbed by our body. It is a “complete” protein with all essential amino acids and the highest branched chain amino acid content found in nature (3). Grass fed whey protein powder is ideal after an intense sweat session due to its ability to breakdown and repair muscles quickly. The highest concentration of whey you can purchase is whey isolate. Whey isolate contains a slightly higher concentration of protein but is much lower in carbohydrates, fat, and lactose. Whey isolate is a great option for those who have dairy sensitivities. The other type of protein that comes from milk is known as casein. Casein protein powder holds much larger molecules that take more time to digest for slower absorption (4), ideal for athletes who need a snack before bed to keep them from waking up feeling ravenous (5). Bonus: when consumed at night, your muscles get a little extra recovery love while you sleep. Plant-based athletes and vegans should looked to immaculately sourced plant proteins. While it is a common belief that protein through diet comes mostly in the form of meat and animal byproducts, the truth is, dark leafy greens, beans, seeds, and legumes are all naturally very high in protein. Consider a vegan protein made from high quality, non-GMO sources, like ProMix Pea Protein Powder (+ read about how our sourcing practices are a cut above), or a plant based protein that supplements vitamins and minerals such as iron and B12 for optimal nutrition. If you suffer from joint pain or simply want to support the strength of your bones and connective tissue, protein from grass fed collagen peptides is for you. Our bodies build collagen on their own, but their ability to produce it diminishes over time. Collagen protein not only provides a boost to your diet, it comes with the added benefit of enhancing your body’s structural health and supports glowing hair, skin, and nails. So there you have it. Pick your protein to support your training program, and accelerate the results you’ve been working for! We are here for YOU. If you have any questions regarding our products and how they enhance your lifestyle, visit our FAQs page, or feel free to email us at sales@promixnutrition.com. Be sure to follow ProMix Nutrition on instagram for the most up-to-date announcements and more posts to inspire you! You’ve got this – hands in! (1) What are proteins and what do they do? National Institutes of Health Website. https://ghr.nlm.nih.gov/primer/howgeneswork/protein Published August 7, 2018. Accessed Jan 2019. (2) Naclerio F, Larumbe-Zabala E. Effects of Whey Protein Alone or as Part of a Multi-ingredient Formulation on Strength, Fat-Free Mass, or Lean Body Mass in Resistance-Trained Individuals: A Meta-analysis. Sports Med. 2016; 46(1):125-37. (3) Product Reviews: Protein Powders, Shakes, and Drinks Review. Consumer Lab Website. https://www.consumerlab.com/reviews/Protein_Powders_Shakes_Drinks_Sports/NutritionDrinks/ Published June 10, 2016. Updated May 17, 2018. Accessed Jan 2019. (4) Mariotti F, Valette M, Lopez C, et al. Casein Compared with Whey Proteins Affects the Organization of Dietary Fat during Digestion and Attenuates the Postprandial Triglyceride Response to a Mixed High-Fat Meal in Healthy, Overweight Men. J Nutr. 2015;145(12):2657-2664. (5) Snijders T, Res PT, Smeets JS, et al. Protein Ingestion before Sleep Increases Muscle Mass and Strength Gains during Prolonged Resistance-Type Exercise Training in Healthy Young Men. J Nutr. 2015;145(6):1178-1184.